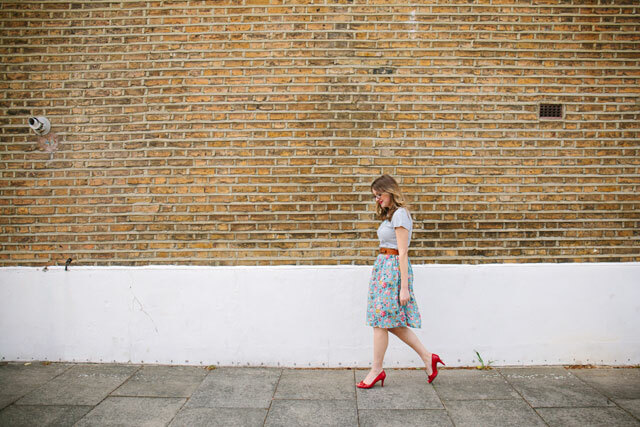 These one seam skirt tutorials seem to be a yearly occurrence (you can last years lace version here). 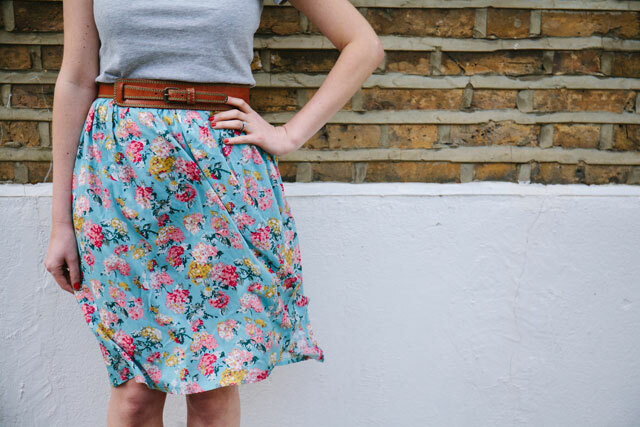 This skirt as the name suggests it has just one seam and a set in zip, it's very simple and quick to make - in fact I made two over the course of two evenings, thats how easy they are. I got the idea whilst Christmas shopping, Anthropologie and J.Crew both had party skirts in this same style but with a price tag of £80 upwards I knew I had to make. All the details are below. You'll need - Some soft fabric, 8 inch zip, 1 metre 1inch grosgrain, press fasteners, matching thread. Step 1. 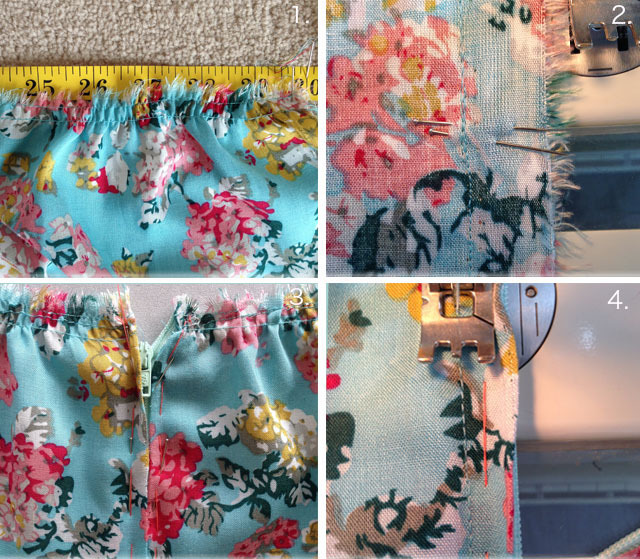 For this tutorial you'll need the widest fabric you can get your hands on, mine was approx 150cm wide. Decide on your length, I went for around 60cm, its best to cut your skirt longer than you need as you can always shorten at the end. Step 5. Measure your waist and then add 10cm. 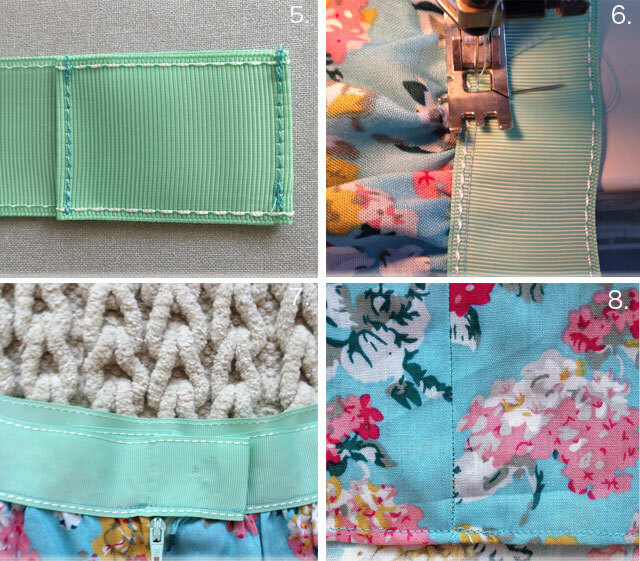 Make a fold about 4cm long at the ends of your ribbon and stitch into place, making sure you tuck ends over 1cm. Step 6. Stitch the ribbon into place, you want to lie the ribbon on top of the skirt and have edge of ribbons over lapping . Step 7. Add a press fastening to ribbon tab. Step 8. 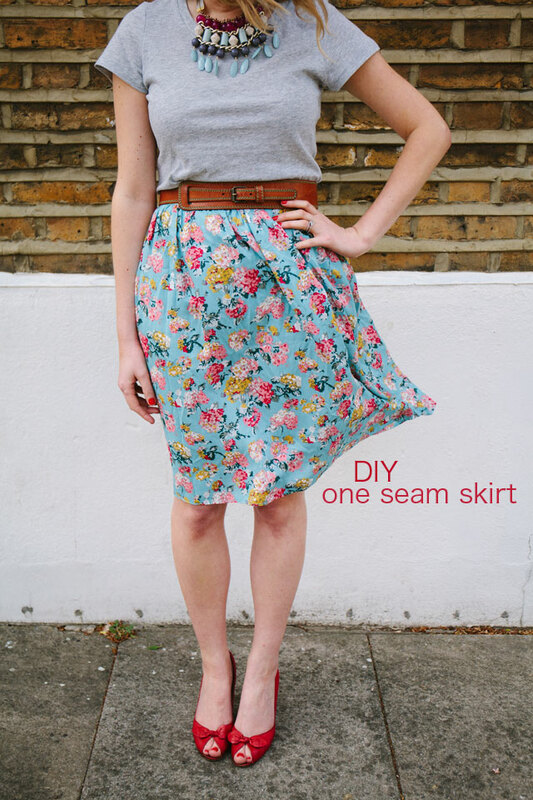 Try your skirt on and check the length, if you're happy with the length fold the edge over by 1cm and stitch into place, you can always do this twice so the raw edge is hidden. Give one last press and then wear.